Rue and the crew of the Spotted Custard return from India with revelations that shake the foundations of England's scientific community. Queen Victoria is not amused, the vampires are tetchy, and something is wrong with the local werewolf pack. To top it all off, Rue's best friend Primrose keeps getting engaged to the most unacceptable military types. Rue has family problems as well. Her vampire father is angry, her werewolf father is crazy, and her obstreperous mother is both. Worst of all, Rue's beginning to suspect what they really are... is frightened. Prudence was a wonderful addition to the Parasolverse and she is braver and bolder in this second book. Overall, this group of characters is well balanced with a lot of fun personalities. While the book reminds me of a Victorian coming of age novel in many ways, it has so many supernatural elements woven in that it is an absolute romp to read. 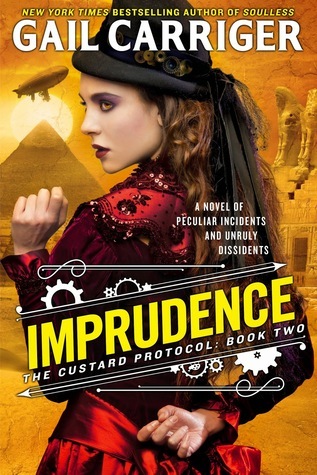 Prudence and her crew find new friends and enemies as they take The Spotted Custard to Egypt. Once again Carriger created a fun quirky storyline that expands the world she’s created and I loved seeing even more of Carriger's take on the Victorian world. The beginning of this book really pulled on my heartstrings and makes me believe even more strongly that you need to read the Parasole Protectorate books first. The emotional impact will be so much greater if you have the background to what is happening. But overall this series is full of all my favorite things: flirts, fun and supernaturals. Gail Carriger always seems to hit all the right buttons for me. But to truly start turning the wheels of revolution, they need popular support from ordinary laborers, housewives, students, and the middle class—people outside the rebel movements. That’s a job for Verity Newton, under the guise of her journalistic alter ego. As the rebel movement builds momentum, Verity must take a more public, open stand for the cause—a stand that could jeopardize her job, her home, and her place in society. At the same time, a revolution is the only way Verity stands a chance of being with Lord Henry, since they’re divided by class and by the fact that he’s wanted for treason. It’s a risk she’s willing to take. In the third installment of the Rebel Mechanics we are back with Verity and following her as she continues her work as a governess and spy. After the events of the last book, war seems like a real possibility. I loved the expansion of the world in this book and how we visited other cities. Verity continued to grow in her role and stayed true to herself as the world changed around her. I really enjoy the romance side of things in this series as well and would love if we had a chance to see the main leads interact even more. I swoon over this couple so hard. They are adorable. Estranged from his family, widowed, and weary from fighting his troubled past, Ethan Grey now has a chance to replace loneliness with love. His sons' beautiful and stubborn governess might help him battle his ghosts, but it's been a long time since he let himself get close to anyone. Alice Portman has more in common with Ethan than she can comfortably admit. For now, she's satisfied with helping him rebuild his life and family, but the dangerous past is about to catch up with them both. After the first two books in this series have been average, I wasn’t expecting fireworks from this one either. There is nothing wrong with Burrowes and her plots. She does a good job with chemistry between her characters and I like how she weaves different parts of the family into her books. However, I think she recycles the same plot devices too often. The stories are a bit too formulaic for me to be able to roll into the next one like I enjoy doing. I’m invested enough to continue reading this series (even after reading several books after this one), but I hope there are some changes to the pattern so that I am less frustrated at the end of the book. Over St. Patrick's Day Weekend I tried to get my reading back on track. I wanted to share my attempts at getting out of a reading slump and hopefully reading some good books! FLASH! Illuminated by lightning, a lifeless human hand seems to reach from a barrel of asphalt beside the Charlotte racetrack. Even for forensic anthropologist Dr Tempe Brennan it is a disturbing sight. And now she must find answers before thousands arrive for the year's big race. But before she can carry out a proper examination, the FBI mysteriously confiscate and destroy the body. While I normally enjoy the Temperance Brennan books, this one disappointed me. Personally, I don’t have lot to say about it beyond that it was a dud. Many of the characters we met and Tempe worked with were downright revolting. Once again Tempe and Ryan are at odds which is frustrating and has been going on too long. Plus Tempe makes poor decisions and puts herself in danger once again. You would think she would remember that she’s done this before and it turned out badly. Apparently, the bad decisions in past books have disappeared from her memory even though none of Ryan’s sexual deeds have. This month has been a little bit tough as far as reading for me. I've been really stressed about my promotion at work and life stuff so reading has been on the back burner. In fact, I've been too busy and stressed to do much but veg out when I get home. Here's hoping that will change because I'm super excited about both of these readathons and want to get some serious reading done. For the past couple of weeks I feel like I've been struggling to read anything. 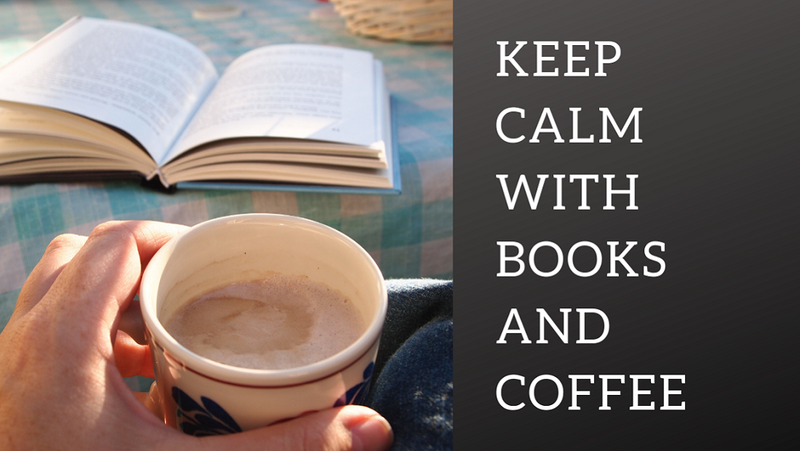 It wasn't until I did this wrap up that I realized I was reading bad books and put myself in a reading slump! So here's hoping the rest of the month goes a little better! In this engrossing and informative companion to her New York Times bestsellers Founding Mothers and Ladies of Liberty, Cokie Roberts marks the sesquicentennial of the Civil War by offering a riveting look at Washington, D.C. and the experiences, influence, and contributions of its women during this momentous period of American history. With the outbreak of the Civil War, the small, social Southern town of Washington, D.C. found itself caught between warring sides in a four-year battle that would determine the future of the United States. After the declaration of secession, many fascinating Southern women left the city, leaving their friends—such as Adele Cutts Douglas and Elizabeth Blair Lee—to grapple with questions of safety and sanitation as the capital was transformed into an immense Union army camp and later a hospital. With their husbands, brothers, and fathers marching off to war, either on the battlefield or in the halls of Congress, the women of Washington joined the cause as well. And more women went to the Capital City to enlist as nurses, supply organizers, relief workers, and journalists. Many risked their lives making munitions in a highly flammable arsenal, toiled at the Treasury Department printing greenbacks to finance the war, and plied their needlework skills at The Navy Yard—once the sole province of men—to sew canvas gunpowder bags for the troops. 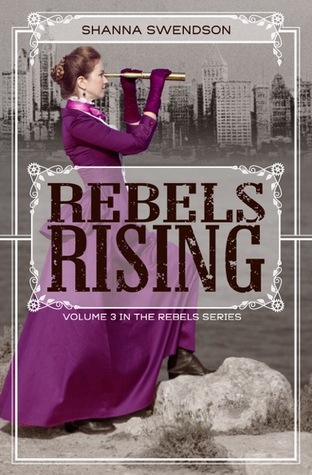 Cokie Roberts chronicles these women's increasing independence, their political empowerment, their indispensable role in keeping the Union unified through the war, and in helping heal it once the fighting was done. She concludes that the war not only changed Washington, it also forever changed the place of women. While I’ve been interested in several of Cokie Robert’s books in the past, this is the first one I picked up. The Civil War has always been an area of interest for me and I was interested to see what the different perspectives and contributions women had during the war. 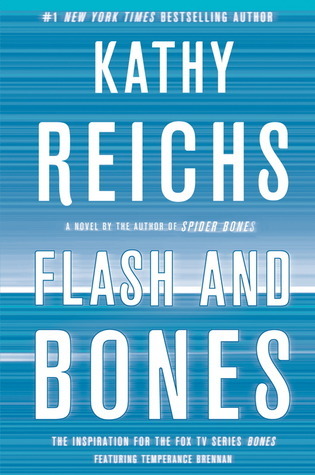 Throughout the book Roberts focused on the women who lived and worked in Washington D.C. The stories of these women are told through a chronological look at the war. Though this does put the events in context, it was difficult for me to keep track of all the women as we revisited their stories throughout the book. Since I listened to the audiobook this was especially difficult without a glossary to reference. There were quite a few women who were easy to recognize like Clara Barton, Mary Todd Lincoln and Julia Dent Grant, but others that were important in their time were difficult to keep track of as we jumped between them. While I enjoyed the look at high society life in Washington during the mid 19th century, it was disappointing to have so few women from other backgrounds included. Almost every woman profiled is either in the Washington political sphere or in the city itself. Very few women of color, poor women or working women are mentioned. While I’m sure it was more difficult to find individual women to profile from these backgrounds, I felt their voices were missing in this book about a war that killed substantially more working-class husbands and liberated African-American women from slavery. Overall, this was interesting and I enjoyed learning about the lives of the women Roberts chose to profile, but I would have enjoyed it more with more voices included. All of the information was fascinating and I am glad to see a book covering many of the women who changed society and the political spheres during the Civil War. This past month I've actually had an amazing reading month. Once again I read 10 books and I am so excited to be making so much progress on my reading goal. I am thinking about splitting up my wrap ups so I can talk about these books in more detail without making the video excessively long. A few months ago I talked about my favorite podcasts. I wanted to update that list to include some new favorites because I am constantly finding new ones that pique my interest. 2) This Might Get - If you are on Youtube at all, you've probably encountered either Mamrie Hart or Grace Helbig. I adore the two of them and this podcast brings them together to tell hilarious stories about their daily lives. 3) Delete This - This has been my latest podcast discovery. Hank and Katherine Green are married and Hank is a part of Vlogbrothers. In this podcast they analyze Hank's tweets from the week. It is hilarious and I've had a lot of fun listening to it. #1) Snark Squad: This lovely podcast is only in the honorable mention spot because I'm bad at media. Nichole and Mari discuss media of various types. Their analysis is both interesting and insightful. I've enjoyed the episodes I've listened to very much. 2) Iditapod: I've been following the Iditarod the last couple of years and listening to this podcast has been really interesting. They do a lot of interviews with mushers and people helping with the race. One of the mushers I follow closely is racing this year while her husband is helping with the podcast a bit. Honorable Mention because it is only active a few weeks out of the year. TW (for this series): Physical and sexual abuse, self harm and attempted suicide. Many of these things happened in the past and are not on page, but they are referred to quite often. I'll be honest. Patricia Brigg's books are addicting and fun to read, but they don't stick with me. I read this last summer and I've forgotten nearly all the details of this book. 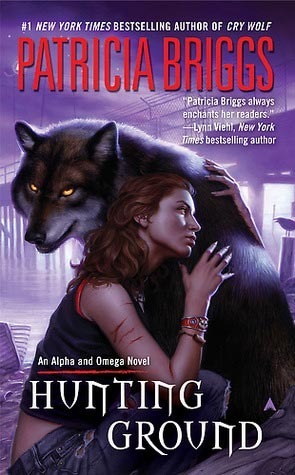 What I do remember about this book is appreciating the look at werewolf politics and how Briggs expanded the world. She takes a different angle with these books than with the Mercy Thompson Series. This series is much more focused on the larger picture than Mercy Thompson. While this sometimes puts the romantic elements in the background, it is well balanced and fun to read. Through out the book, and this series so far, I enjoy how Charles and Anna discuss their relationship even when it is awkward or difficult. Their relationship feels genuine because they act like adults especially as their relationship is so new. I'm anxious to see Anna grow into her abilities as an Omega even more in future books. Throughout this series I've enjoyed how Anna rises to the occasion and surpasses everyone's expectations of her. Julie has read 4 books toward her goal of 125 books.